There is some confusion about the difference between juices and smoothies and which is better. They are both very nutritionally beneficial. Here’s what you need to know. You make fresh juice by pushing fruits and vegetables through a juicer. Some popular brands are Breville and Jack Lalane. The pulp and fiber are separated and you are left with the liquid portion of the fruits and veggies. I recommend 1 serving fruit to 2-3 servings of vegetables to lessen the sugar and spikes in your blood sugar. For example: one cucumber, three stalks celery and one large apple is a good combo. Something I like to do is add water to my juice in the ratio juice to water 2:1. If this dilutes it too much, I’ll add a few drops of stevia to get some sweetness back. Juice should ideally be consumed within minutes of making it. If it sits for too long, the exposure to oxygen cause it lose its enzymes and nutrients. It also develops a flat taste. Smoothies are made in a blender such as a Vitamix, Ninja or Nutribullet. The pulp and fiber remain in what you consume and as a result they are more filling than juice and are more like a mini meal. 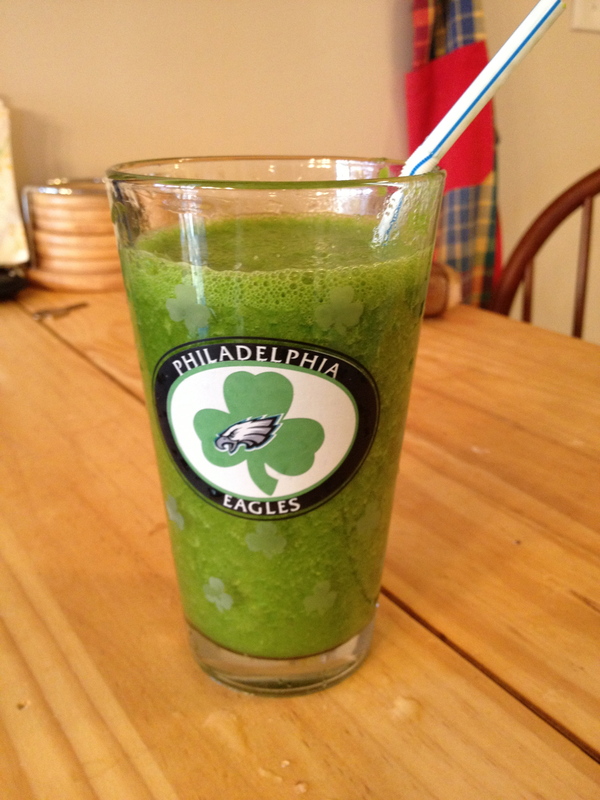 Green smoothies are a great way to get a few servings of vegetables without having to eat a salad. Raw greens are best in vegetable and fruit smoothies because they can be broken down well by a powerful blender. When first starting out, select greens that have a milder flavor, such as spinach, romaine, spring mix and even arugula. Once your taste buds get more acclimated you can try kale! I personally do not recommend chard or broccoli. Bananas, lemon and ginger root are great ingredients to add to just about any green smoothie because they overpower the ‘grassy’ taste’ of the leafy greens. Apples, pineapple, mangos, pears and berries are all good options depending on what you like. Again, try to have more greens than fruits. You will need to have a base of water or coconut water for your smoothies. the more liquid you add, the runnier they will be. Smoothies are more stable than juice because the fiber is still in them. They do not oxidize as quickly. They are still good after 2-3 days tightly sealed in the fridge. (Mason jar!!) You can freeze them if you want to store them longer. What in the world is TEMPEH and why you should try it.